The recipient of numerous honors at the local, state, regional, and national levels, Dr. Ignatius (James) Ciszek ha s left an indelible legacy of service to the Greater Lowell and University of Massachusetts at Lowell communities that is unparalleled. Dr. Ciszek, known as Jim or simply “Coach” throughout the wide area upon which he has left a lasting imprint, has been a true leader of the young men and women he has encountered in his various roles as teacher, athletic director, coach, official, and functionary in myriad other organizations during the past 60 years. His contributions to the Greater Lowell and University of Massachusetts at Lowell communities are immeasurable. A truly versatile athlete, Jim Ciszek won letters in no fewer than four sports (football, basketball, baseball, and track) during his Lowell High School career. 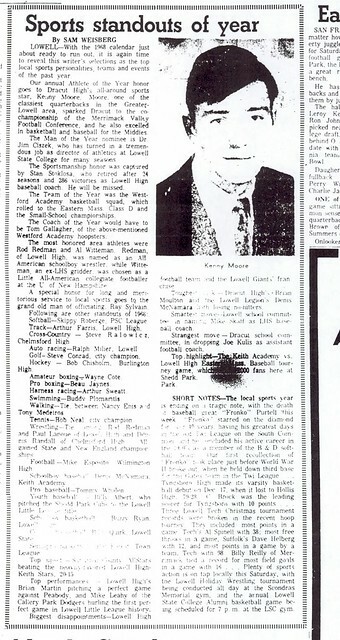 He capped off his four years by being the school’s only 3-sport letter winner (in football, basketball, and baseball) during his senior season (1941–1942). He compiled a .340 batting average as a member of the LHS baseball squad that season. After graduation, Ciszek attended Arnold College in Connecticut. 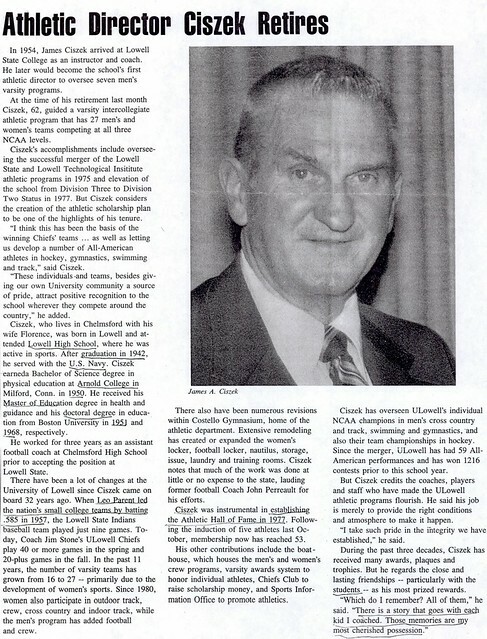 Later in life, Dr. Ignatius Ciszek served on both the Board of Directors and the Selection Committee of the Lowell High School Athletic Hall of Fame for 20 years. 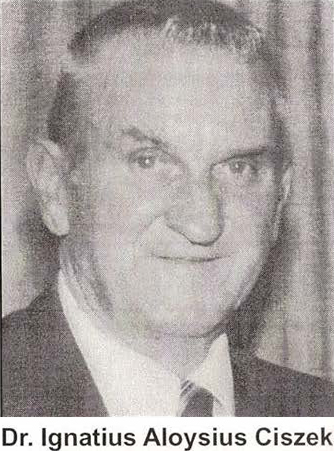 He served as Chairman of the Selection Committee for the organization’s first five years. In his days as Teacher, Coach, Director of Athletics and Intramural Activities, and Chairman of the Physical Education Department at Lowell State College (1954–1975) and then as Director of the Athletics and Chairman of the Physical Education Department at the University of Lowell (1979–1987), Dr. Ciszek was the driving force in the survival of and then the flourishing of intercollegiate athletics at these institutions. 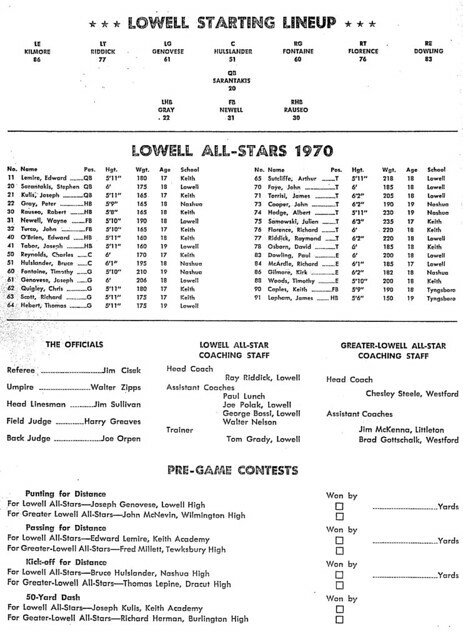 He oversaw the successful merger of the Lowell State College and Lowell Technological Institute athletic programs in 1975. Under his leadership, the University of Massachusetts Lowell athletic program blossomed with numerous individual NCAA Champions, scores of All-Americans in various sports and NCAA team championships in ice hockey. His insistence upon academic success, good sportsmanship, and hard work as essential prerequisites for success on the playing fields laid a solid foundation for the achievements currently being enjoyed by the student athletes of the University of Massachusetts at Lowell even today. A highly respected basketball, football, and baseball official who worked literally thousands of contests during his career at both the high school and college levels, Jim won plaudits at all levels for his efforts, including Honorary Life Memberships in both the International Association of Approved Basketball officials and Greater Lowell Baseball Umpires Association. Among the scores of honors and awards Dr. Ciszek has earned throughout his long and illustrious career are his inductions into the Halls of Fame of the University of Lowell (now University of Massachusetts Lowell), the National Association of Collegiate Directors of Athletics, and the Massachusetts Chapter of the National Football Foundation and the granting to him of Professor Emeritus status at the University in 1986. Dr. Ciszek has also been honored with the recent dedication of the Ciszek-Yarnell Awards Corridor in the Costello Athletic Center at the University of Massachusetts Lowell, highlighting the long and storied athletic history of the University and its predecessors, Lowell State College and Lowell Technological Institute. 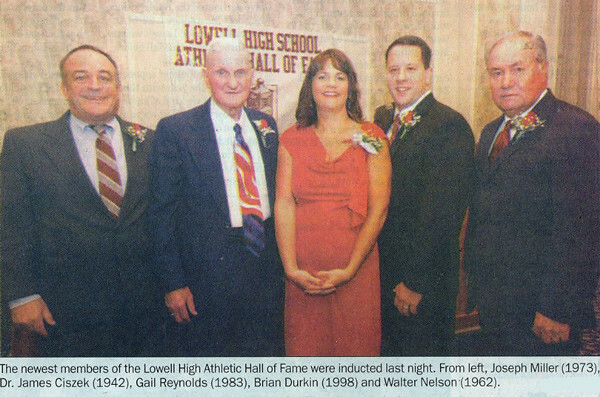 Other: LHS Athletic Hall of Fame, Board of Directors & Section Committee, 20 years.